Everyone has a routine. Whether it’s a daily commute to work, or a morning cup of coffee, these small repetitive tasks bring ritual, comfort and calm to the start of a day. For those who have lived through a disaster, it’s often hard to re-establish these rituals in the aftermath of destruction. Meet Red Cross volunteers, Janet and Frank Piccola, who understood that, following Superstorm Sandy, returning to a routine was critical for displaced disaster victims living in shelters. When an early evening inventory revealed a shortage of coffee cups for the following morning, our volunteers cautiously braved a wicked nor’easter snowstorm to make their way down the snowy road to Walmart. Their purpose for braving that evening’s stormy weather? Securing 1,000 coffee cups before closing the doors of the shelter for the night. Because of the dedicated teamwork of these shelter volunteers, they were able to find a way to honor the value of even the most basic routine during a time of crisis. The Piccolas began volunteering for the Red Cross in 2011 after reading an article in the newspaper about current Red Cross assistance for individuals displaced by local fires. Both had recently retired from their careers in public service, Janet as a CalFire Chief and Frank a member of the US Army Corps of Engineers, and they were looking for their next adventure in Sacremento, CA. Soon after taking their first volunteer assignment at an evacuation center in Amador County, Janet and Frank deployed to the East Coast for Sandy, where they both agreed that they felt like they were able to make a difference. The Piccolas warmly recounted their fulfilling work as volunteers in the shelters, from helping people with special needs, to sewing on buttons (and yes, even securing coffee cups late at night). Frank deployed two other times to help with Sandy, and also to flood areas in northern Florida and Colorado. For those efforts, he worked to secure resources in the community, located people who had not been in contact with their families and helped with those who had been displaced. In 2014, when Janet and Frank relocated to Port Angeles, Washington, their volunteer journey was far from over. Once settled, they again reached out to the Red Cross and found a dedicated group of volunteers who quickly helped them engage in the volunteer community of Clallam County Red Cross, reminding them that Red Cross volunteering can happen anywhere. Not only has their work helping others been fulfilling, but the couple has found that volunteering as a team has taught them a few things they didn’t know about each other. They have also been surprised at the opportunities volunteering has provided to learn new skills and, through their work, have come to really appreciate all of the good people they’ve crossed paths with. 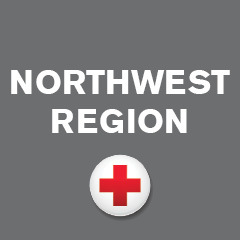 They definitely have the Red Cross volunteer “bug” and, we’re happy they’ve found a new home base in Clallam County.